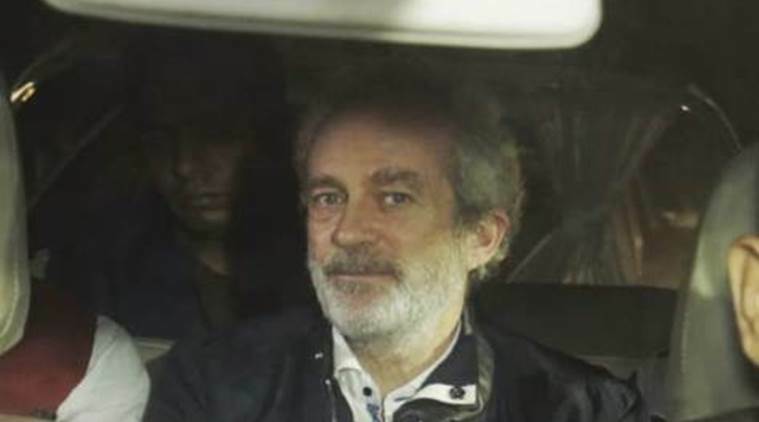 Christian Michel James, an alleged middleman and an accused in the AgustaWestland VVIP chopper deal case, told a Delhi court Friday that he had “never named anybody” during his questioning by the Enforcement Directorate, and that the agency had leaked details of its supplementary chargesheet to the media before sharing it with him. On his application, Special Judge Arvind Kumar issued notice to the ED and sought a response by Saturday. Urging the court to ask the ED how the chargesheet got leaked, Joseph said the agency “clandestinely” provided its copies to media houses which are publishing the same in instalments only to sensationalise the issue and prejudice the named accused even before the court has taken cognizance. At this, the judge said an order cannot be passed right away on the application without hearing the ED. The court is scheduled to decide Saturday whether the accused can be summoned, and on the cognizance of the chargesheet. The chargesheet filed Thursday added three new names to the list of accused, taking the count of individuals and firms that stand accused to 41 — David Nigel John Syms, who the ED claimed was Michel’s business partner, and two firms owned by them, M/s Global Trade and Commerce Limited and M/s Global Services FZE, UAE. Rejecting allegations in the chargesheet, Michel’s counsel said “the ED is not interested in a fair trial in a court of law and only wants a trial by media, which is causing prejudice to the rights of the accused persons”. “ED is making a mockery of the judicial process resulting in complete travesty of justice,” Joseph said, adding that “the extradition treaty prohibits the extradition of accused involved in political offences and the government is now using the Enforcement Directorate and all the investigating agencies for political purpose,” his application stated. “The copy of the chargesheet was provided to the media before it was provided to the accused,” the counsel said. “It is pertinent to mention here that the prosecuting agency is acting as a weapon in the hands of the government and by clandestinely giving the documents to the media houses engineered in media, trial with ulterior motives,” it stated.